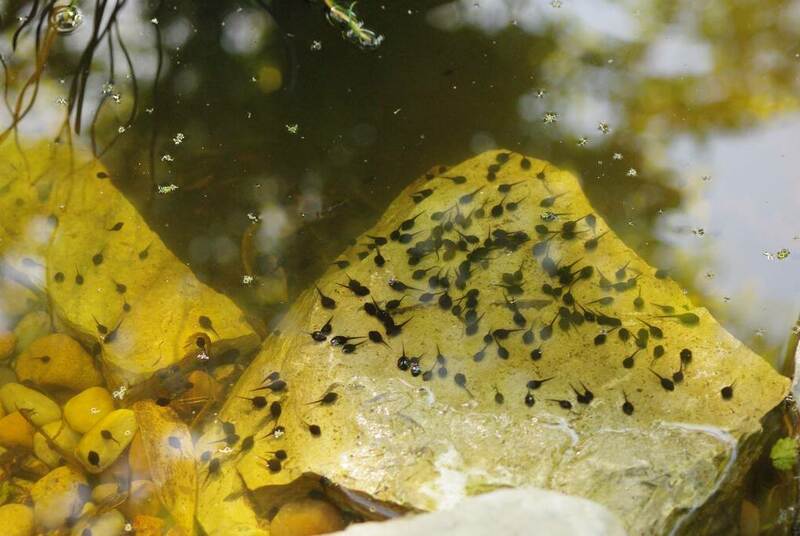 There's something so calming about watching pond inhabitants for me. After building the pond last fall I couldn't wait for spring so I could add some goldfish. 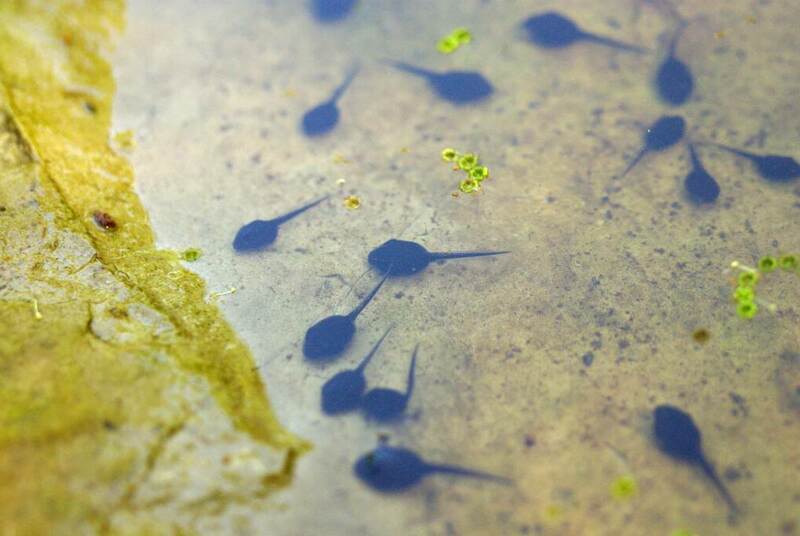 I haven't done that yet, as I've currently got plenty of underwater activity to watch due to the tadpoles. 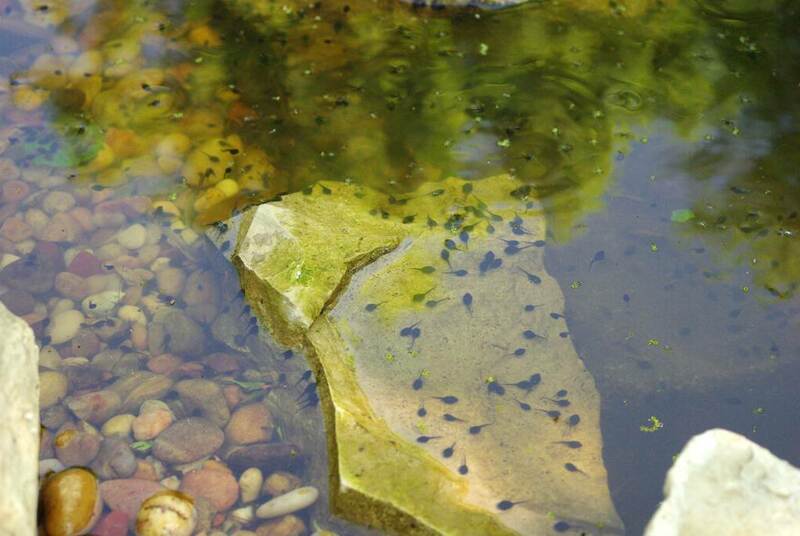 I'm not certain if I've got any frog tadpoles in here (which fish will apparently eat) so I'm holding off on the fish for a while -- but I can still stand here for hours watching the tadpoles. So I thought I'd put together a little movie to share this with you. A few photos first, to get an idea of the population density. In the morning they really like the shallow water around the rocks, but in the evening move to deep water. This is after they've scattered a bit from me hanging over them with a camera. 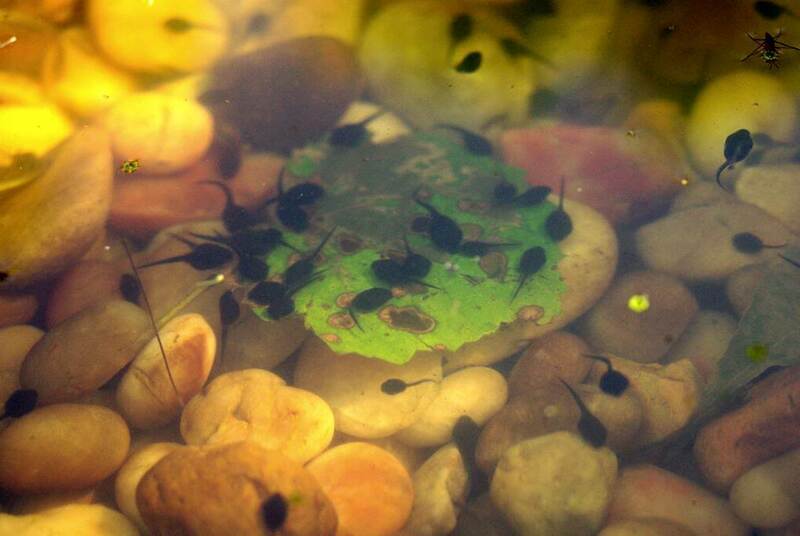 More on the tadpoles once they start growing legs I think. Looking forward to next pond report. I would also stand for hours ... love the birds in the background too :). Lovely photo that first one - with the colours, just great. 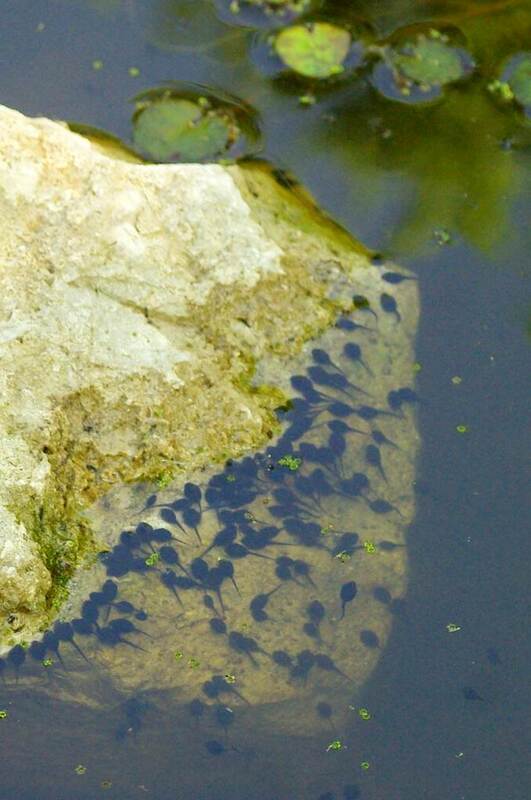 Thats a LOT of tadpoles. Soon you going to have a LOT of froggies! !